We’ve been collecting crocheted doilies for ages. 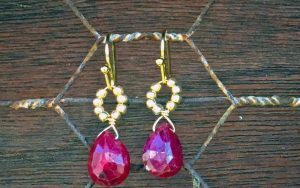 If we see them at a thrift store or flea market for a good price (a few dollars) we get them! They are so fun to use in craft projects like this shabby chic doily pillow. 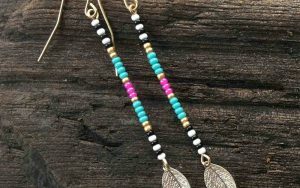 Who knew old-fashioned lace could look so modern?! 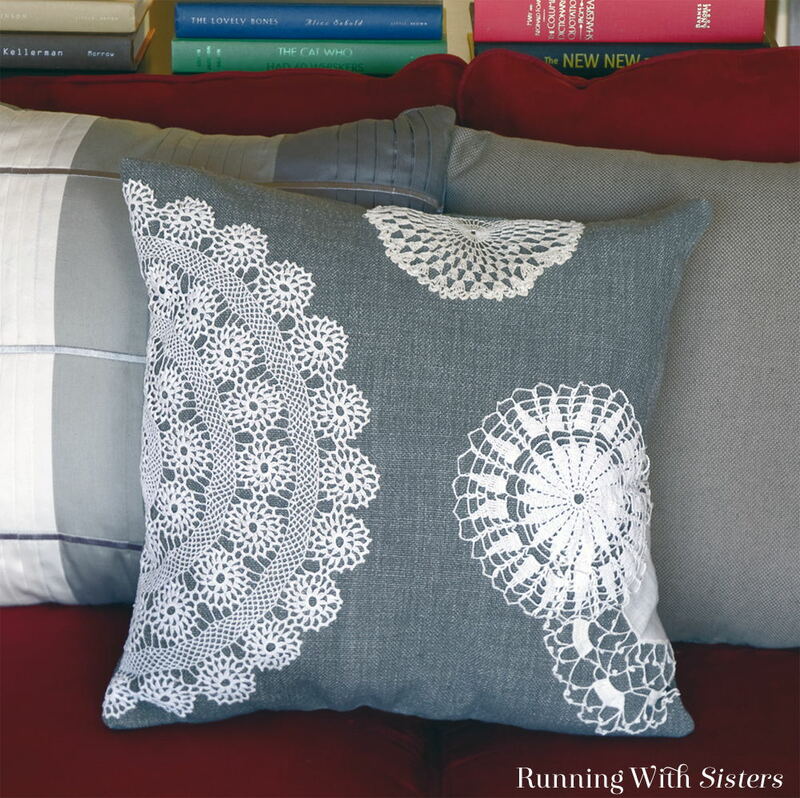 Make this pretty lace doily pillow by cutting the doilies and hand sewing them to the fabric. 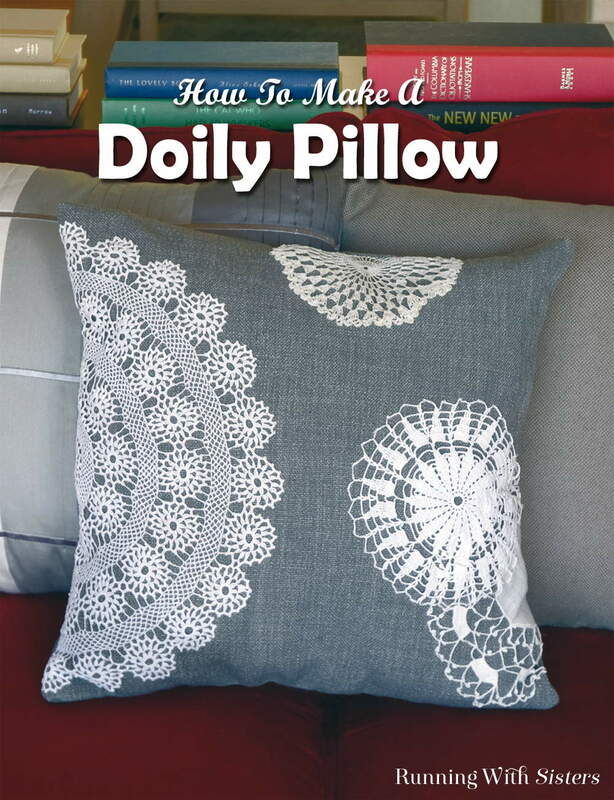 We’ll show you step by step how to make them into a lace doily pillow. Pick up each doily and dab the chalk lines with Fray Check covering a quarter inch on each side of the chalk line. This keeps the doilies from fraying when you cut them. Let the fray check dry completely. (You can use a blow dryer to speed this up.) Cut the doilies along the chalk lines. 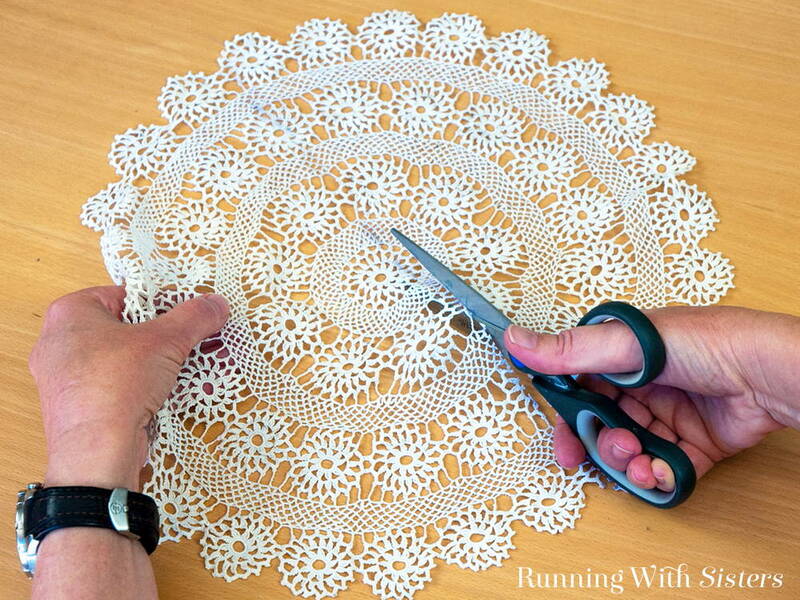 Arrange the cut doilies on the fabric. 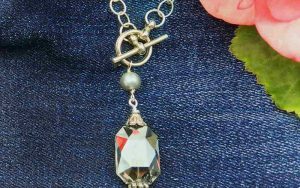 Use straight pins to pin the doilies in place. 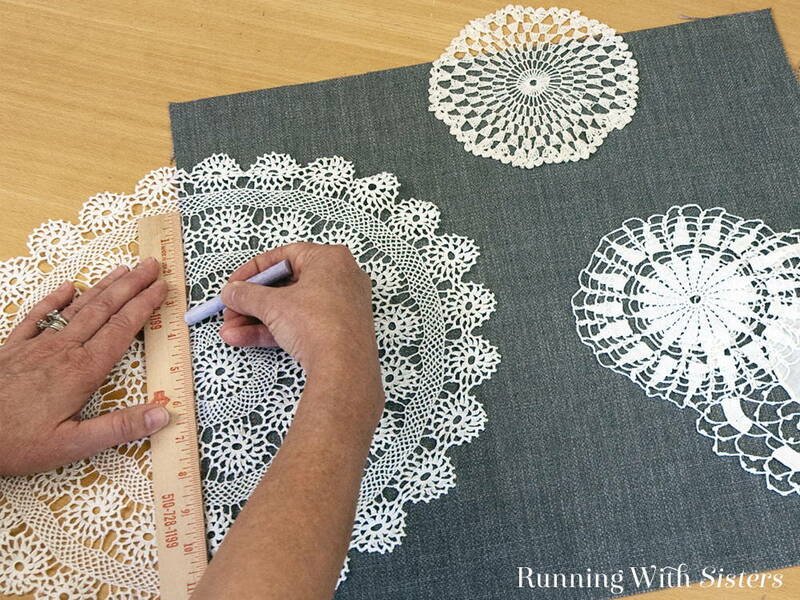 Hand sew the doilies onto the fabric with a sewing needle and ivory thread, starting and finishing from the back. Use tiny stitches on the front to sew all the outside edges of the doilies to the fabric. 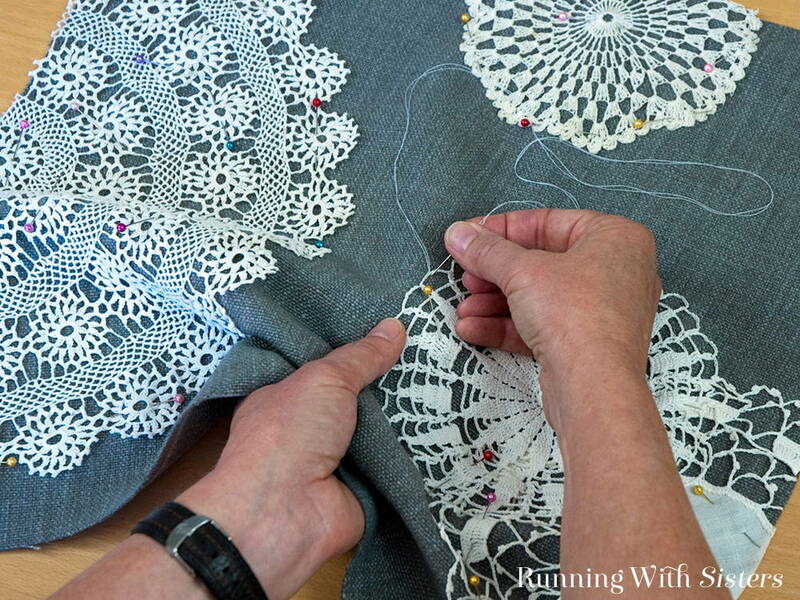 Run your hand across the surface of the doilies and sew down any pieces of lace that feel loose. Carefully turn the pillow cover right-side out through the four-inch gap. 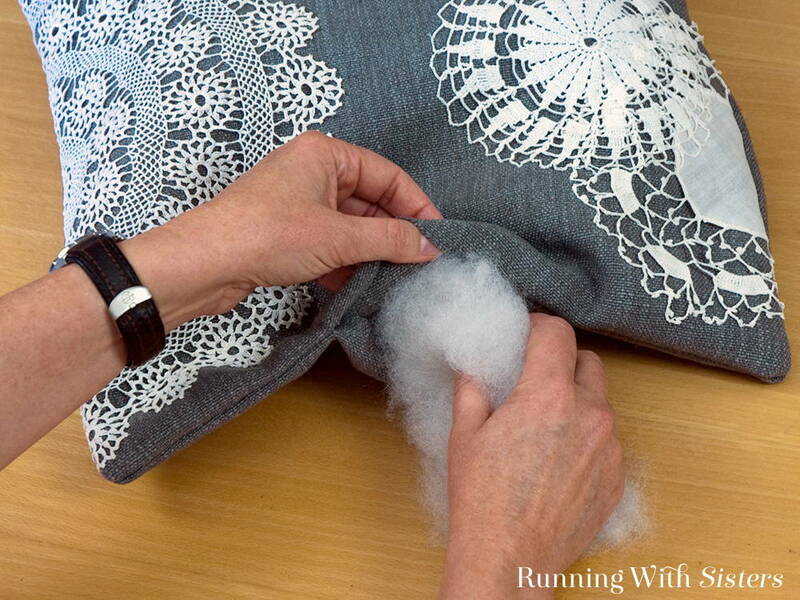 Stuff the pillow cover with fiberfill, a handful at a time. Use a chopstick to poke the stuffing into the corners. 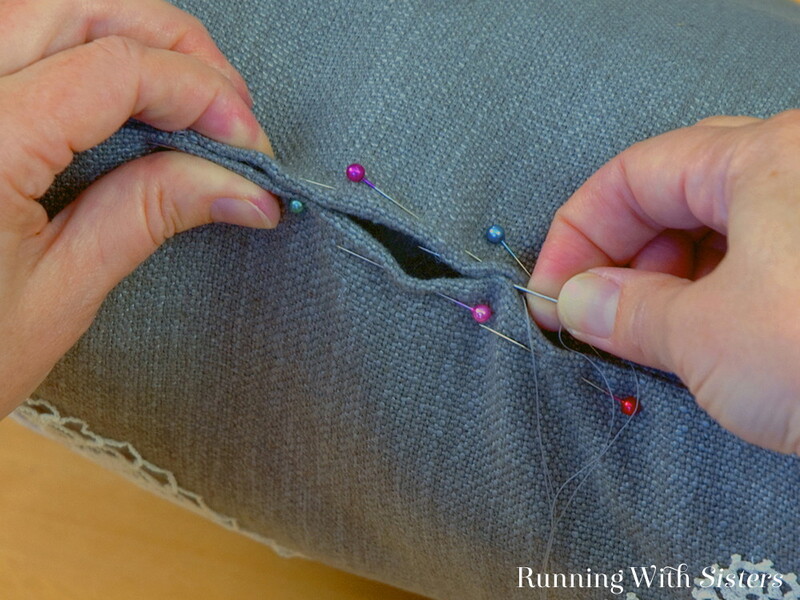 Fold the seams of each side of the opening inward and pin. 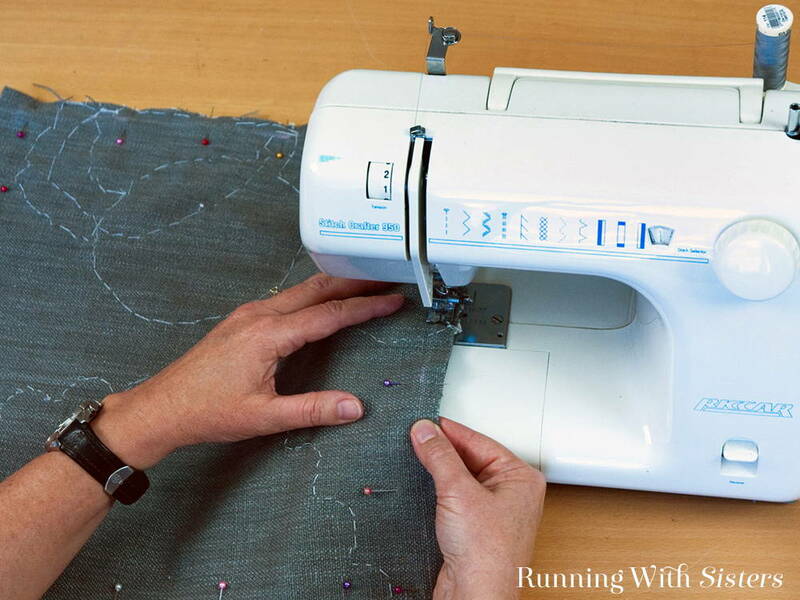 Using a sewing needle and gray thread, hand sew the four-inch opening closed, hiding the stitches inside the seams. Tie a knot in the end of the thread and tuck it inside. Do you love doilies too? Have you made something fun with them? 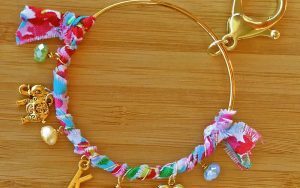 We’d love to hear about your craft projects! Please share in the comments below. 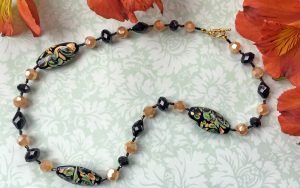 Everything you girls do is a CLASS ACT…I’m a 68yr old crafter of sorts. I have expensive taste and I’ve just started following you…what a breath of fresh air…keep that creative work coming… All the best to you both. ???????? Hi Dawn, You are so sweet! So glad you found us. You made our day!